This afternoon/evening we are having a Cinco De Mayo Party! I'm having a great time planning/prepping for it! I wanted to share some of my fun ideas...at least I think they are fun! 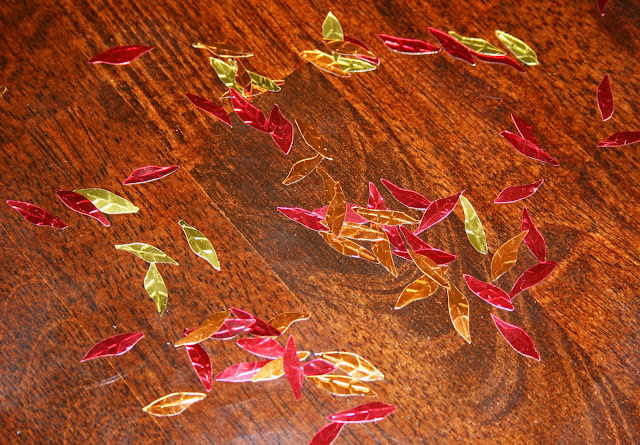 I went to Hobby Lobby to get a few ideas for decor, and came across some chili pepper confetti. I'm a cheapskate; so I didn't want to spend $3 on it. I know, I know. But that just makes me creative. :) So, I decided to make my own. About 6 years ago, I hosted a bridal shower for my sister. 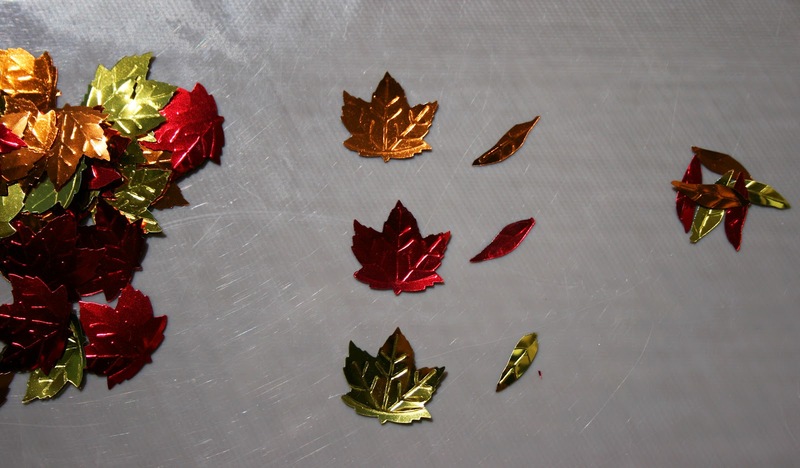 That shower had a Fall theme, so I had purchased some 'leaf confetti'. I've been saving it this entire time. (Saving everything with the idea of upcycling it in the future is another flaw of mine.....which actually relates to the cheapskate flaw of mine. 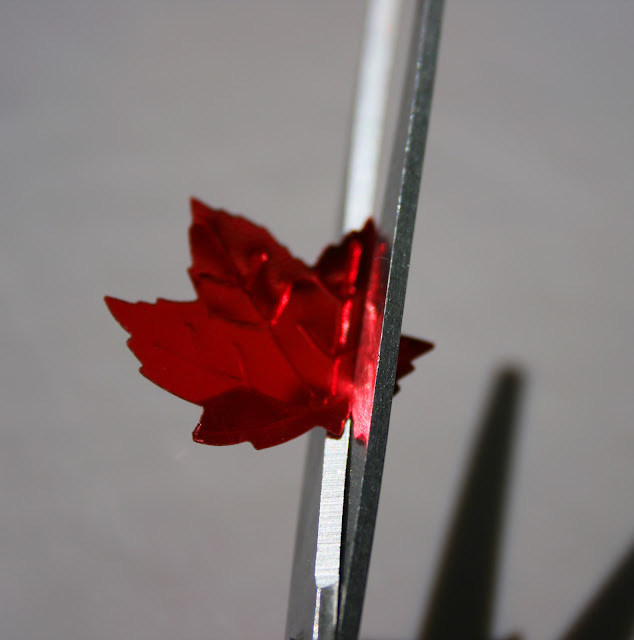 *sigh*) Anyways, I decided to change the leaf confetti into chili pepper confetti! And the best part is that one leaf created three chili peppers! 3-1 return on my investment? Score! Take your leaf, hand cut the chili peppers, and voila. It's super simple. While it takes a little bit of time, it's super simple, saves money, and turned out really cute! 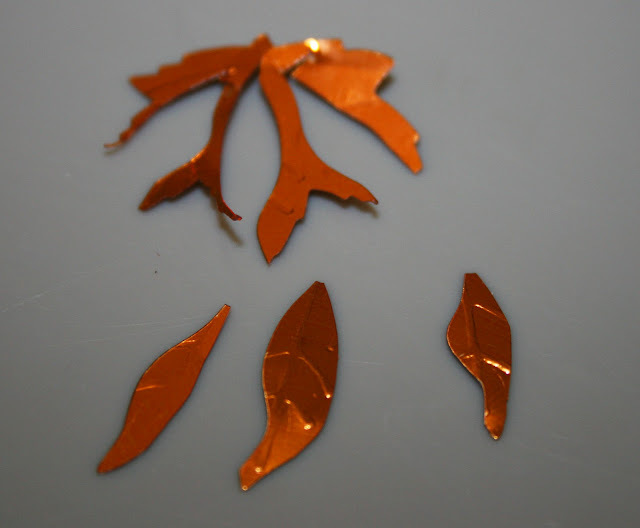 This is how I cut it so I could get three chili peppers from each leaf.